FORScan is a software scanner for Ford, Mazda, Lincoln and Mercury vehicles, designed to work over ELM327 and J2534 Pass-Thru compatible adapters. FORScan designed especially for Ford, Mazda, Lincoln and Mercury vehicles. 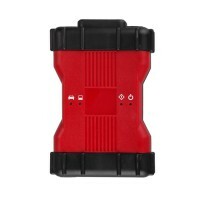 So supports specific features of the manufacturer protocols, making the FORScan more powerful in work with these models than any regular OBD2 scanner.